Happy Lists were born out of a need to provide an antidote to the rich/celebrity lists which worship at the shrine of the wealthy, the bonus-getters, and the tax avoiders. In 2008 David Randall decided to create a national HappyList for the Independent on Sunday which would honour a different set of values. As a direct riposte to The Times Rich List, he named people who, without thought of personal gain or recognition, do so much to make their communities better adjusted places to live, making their cities and thus the country a better and happier place. Now, with a place-based focus and links to Happy City’s innovative measures of prosperity, we can look for insights into the effectiveness of the Happiness Champions who make up the HappyList, AND at the same time, the ideas, people and places who appear in out ‘Halls of Fame’, become a directory of local wellbeing resources around the country. 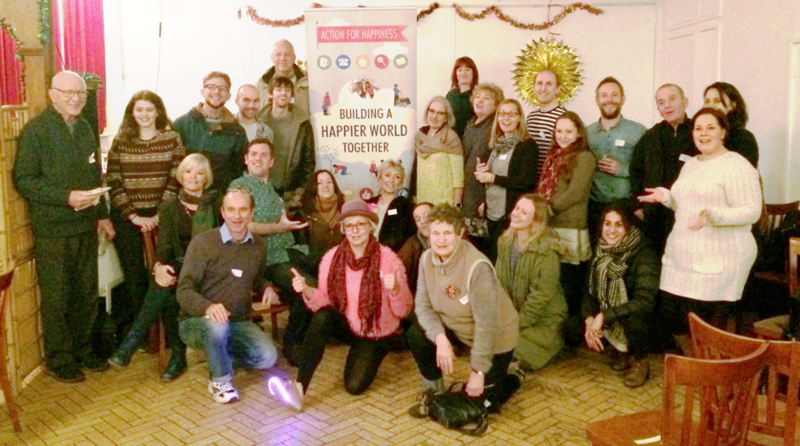 HappyLists have become a power tool, helping change-makers in their work. Bristol and Brighton have been blazing the way for some time now – you can see Bristol’s 6th HappyList here, and here’s a picture of Brighton’s coverage of their fourth list from 7th November 2018. 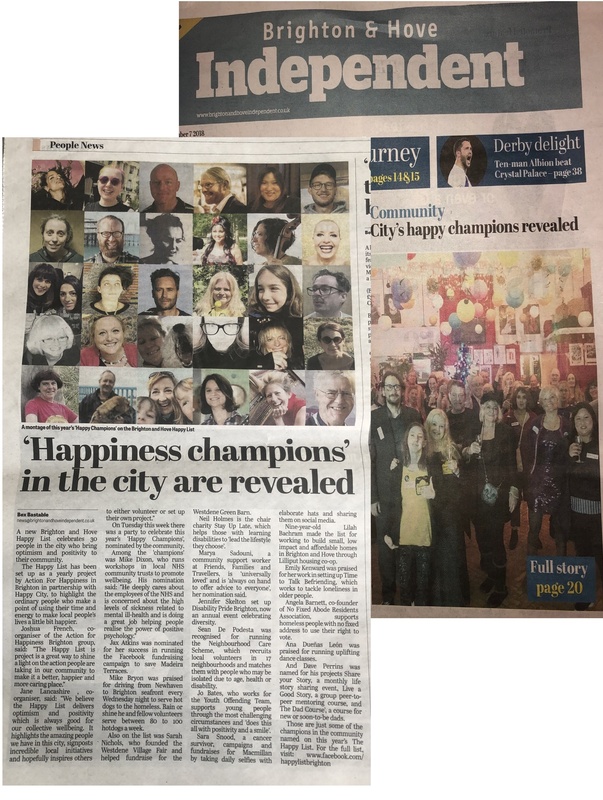 All of the Happiness Champions are in ‘Halls of Fame’, one for Brighton here and one for Bristol here.